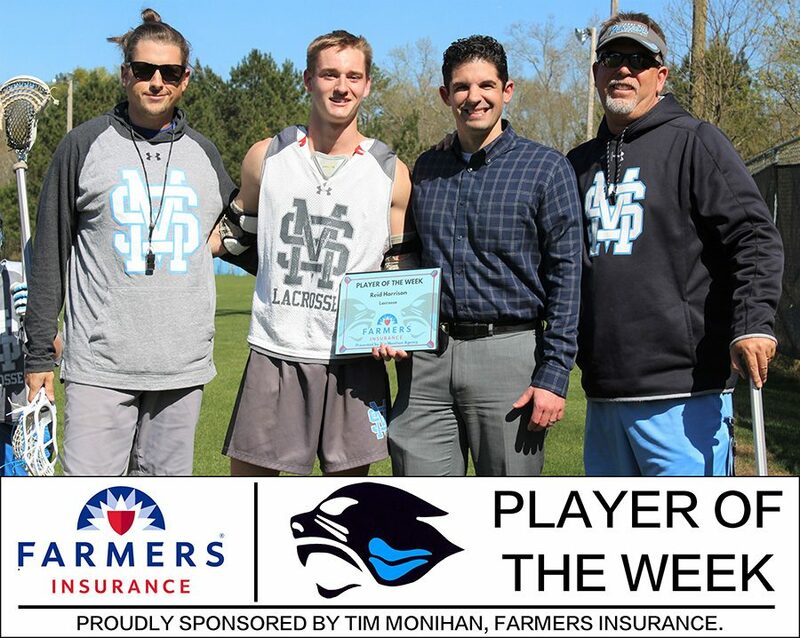 Tim Monihan and Farmers Insurance have named senior Reid Harrison the fifth Player of the Week for the spring sports season. Compared to last season, Harrison and the Panthers have had a rough schedule through 11 games. The Panthers currently have a record of 7-4, compared to last year’s 10-1 start. When the Panthers win, they win big, outscoring their opponents 107-27 so far this season. Their closest win came in the Feb. 19 contest against Creekside where the Panthers won 12-7. The four losses have been by a combined 13 goals, with the worst defeats coming against AAAAAA North Gwinnett 9-4 on Feb. 16 and Westminster 14-9 on March 2. The Panther lacrosse team will not play during spring break. After the break, the Mill hosts Woodward Academy at 6 p.m. on April 12.